I love this young bird. It's unusual to see one this young alone. 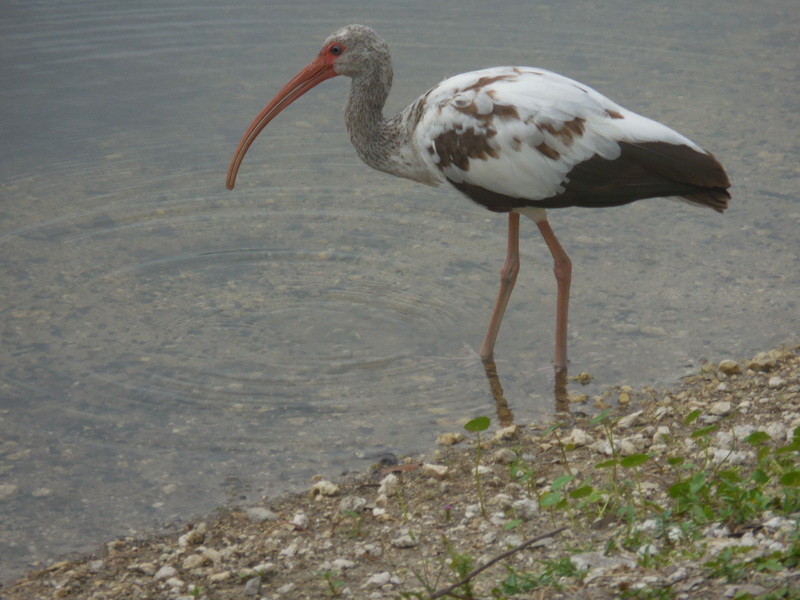 This is a young white ibis. 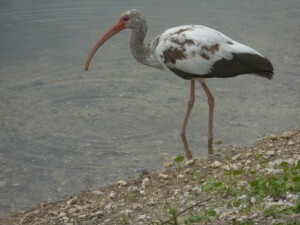 As a youngster it is brown with patches of white. The brown slowly disappears as it grows leaving the bird a brilliant white. Beautiful bird even if not completely white. I sort of like them this way. The patterns are all different depending on their age making them more interesting.